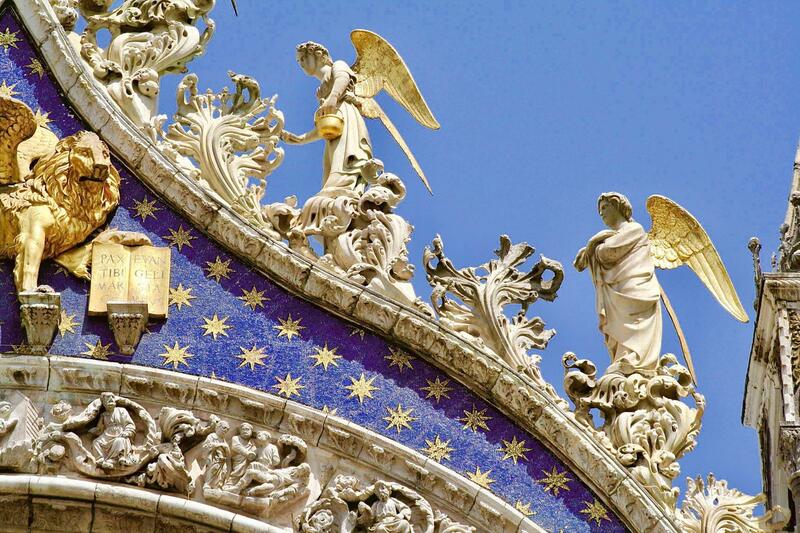 A combined tour that allows you to discover the Doge’s Venice and its oriental empire. This guided tour is divided into two parts. 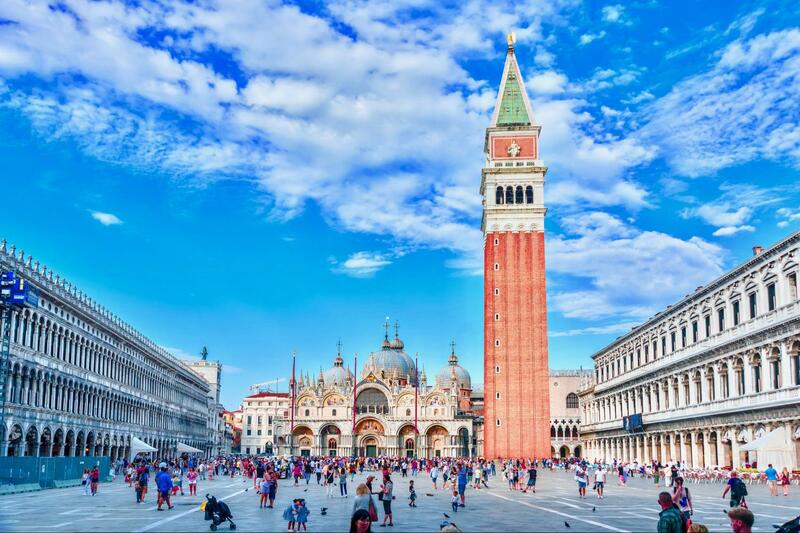 From a centrally located meeting point you will be lead by a professional guide to the magnificent Doge’s Palace, once the seat of the power of the Republic of Venice, and then onto the majestic Saint Mark’s Basilica, discovering its Byzantine history, the Golden Pall (Pala d'Oro) and the glittering mosaics. 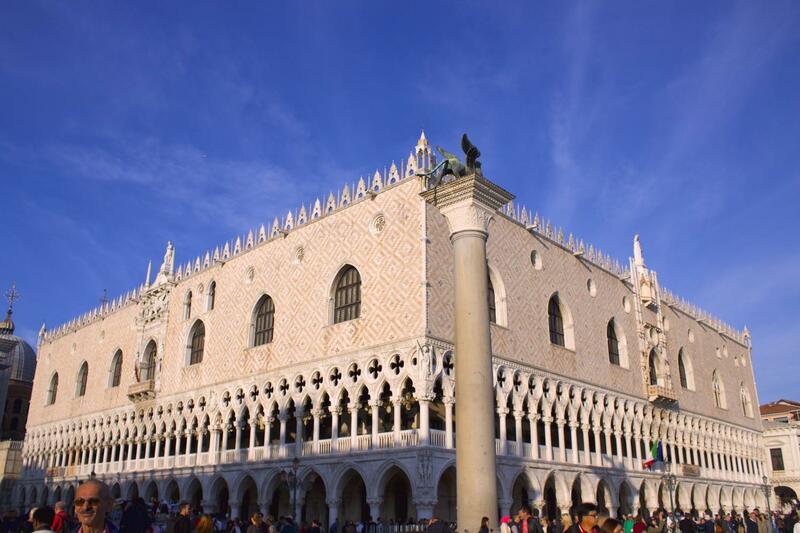 Our guide will accompany you to the Doge’s Palace, which dominates Saint Mark's Square, the heart of Venice, standing out for its size and its extraordinary structure, where Byzantine, European and Oriental architecture collide. Immediately entering the Palace you will pass through the great courtyard and admire the wealth of detail on the famous Golden Staircase. 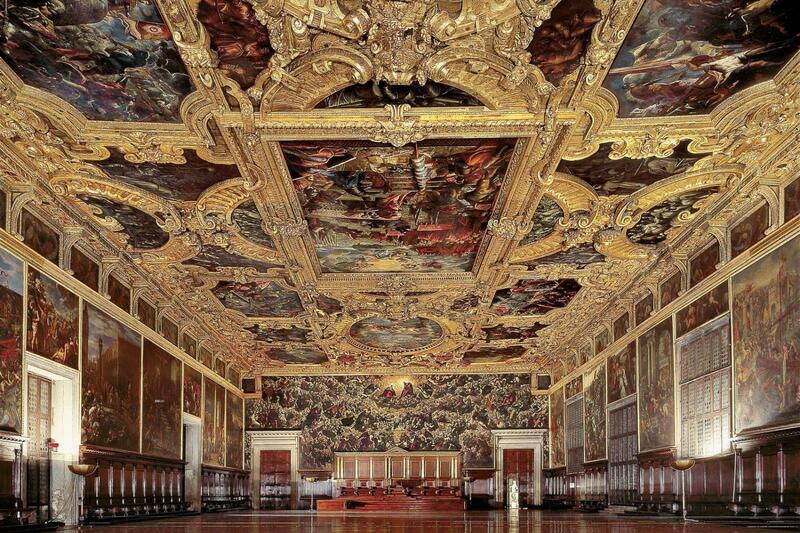 Once inside the Palace, you will visit the halls where the Duke (Doge) and his Council controlled the fate of the Serene Republic, whilst surrounded by hundreds of artistic masterpieces and discover the political history of Venice and its people. You will be able to admire the paintings realised by some of the most important artists of the Italian Renaissance, amongst them, the world's largest oil painting by Tintoretto. Passing through the famous Bridge of Sighs, you will reach the new prisons. The bridge was given its name by the English poet Lord Byron, probably referring to the last breath of the prisoners, who had their last view of the lagoon and of Venice from the window of this bridge, before they were to be imprisoned. 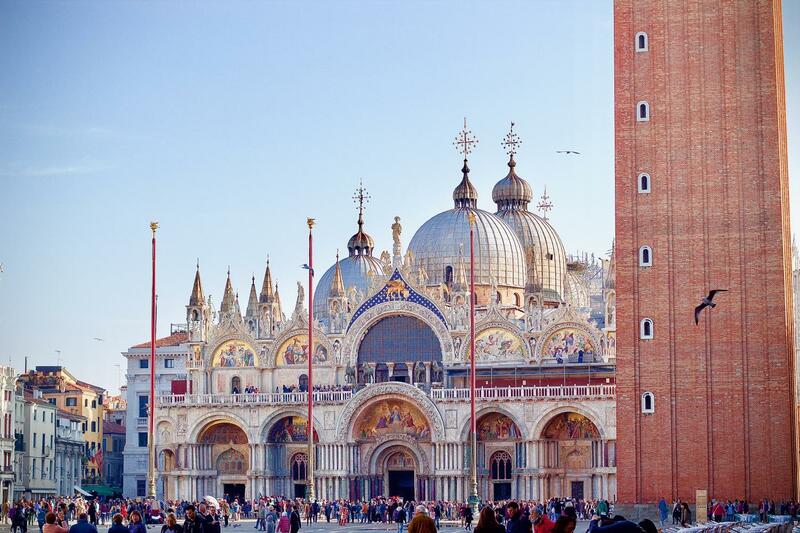 During the second part of the tour you will visit the Basilica, once the private chapel of the Doge of Venice, and the only one of its kind in Italy, thanks to the sumptous golden mosaics and impressive marble inlay flooring. 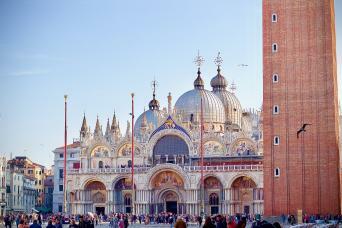 This 2 hour combined tour concludes outside the Basilica, in Saint Mark's Square. Tour maybe affected in cases of high tides.